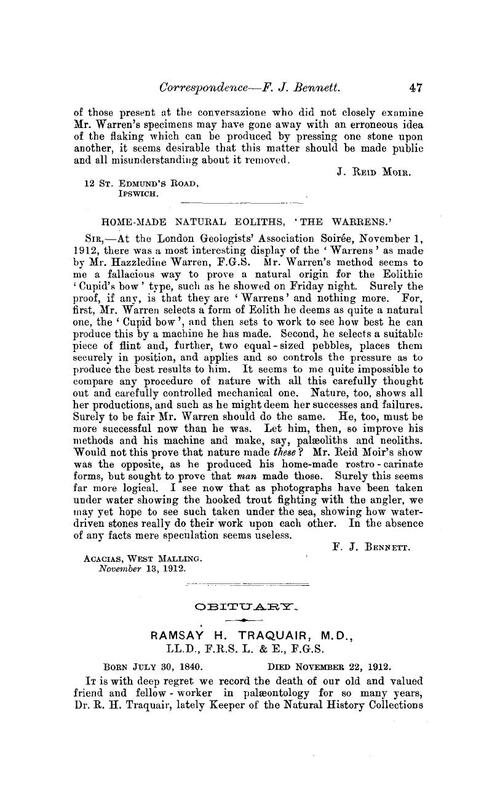 Ramsay H. Traquair, M.D., LL.D., F.R.S. L. & E., F.G.S. 1 Now Known as the Royal Scottish Museum. 2 In part from the Scotsman, 11 23, 1912.